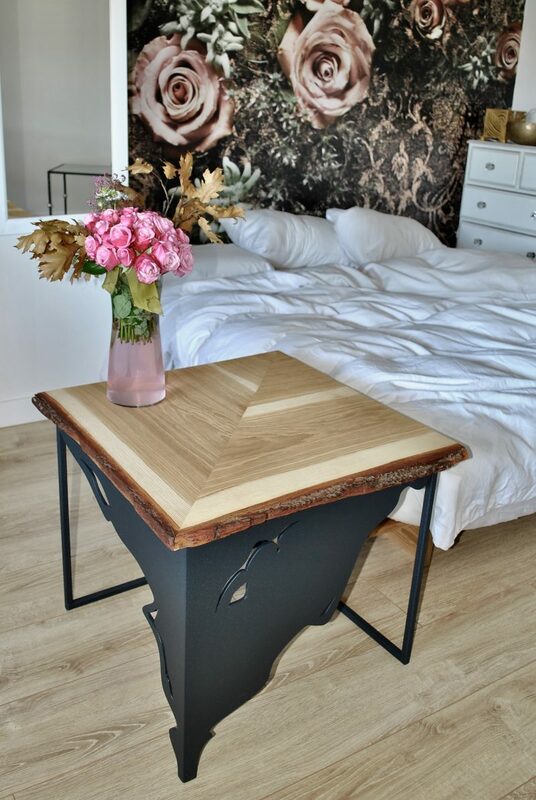 Beautiful Coffee table. Steel constuction with solid oak top. 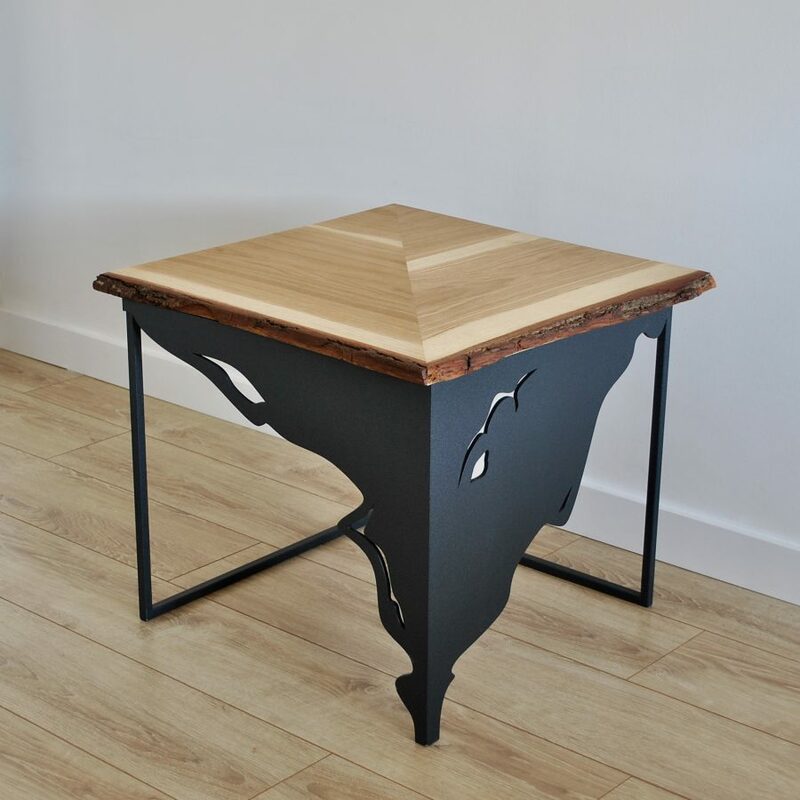 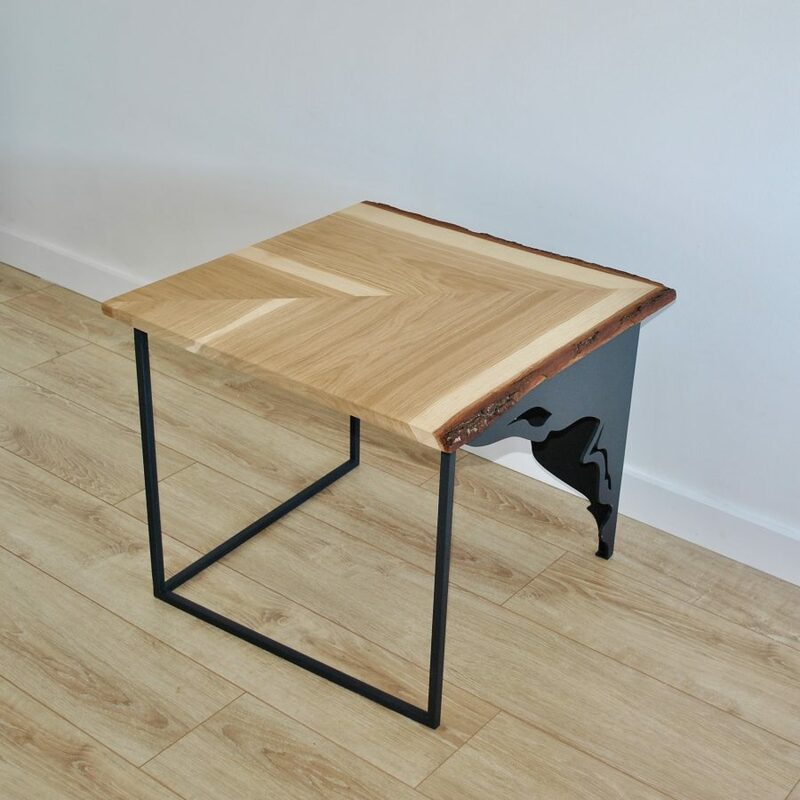 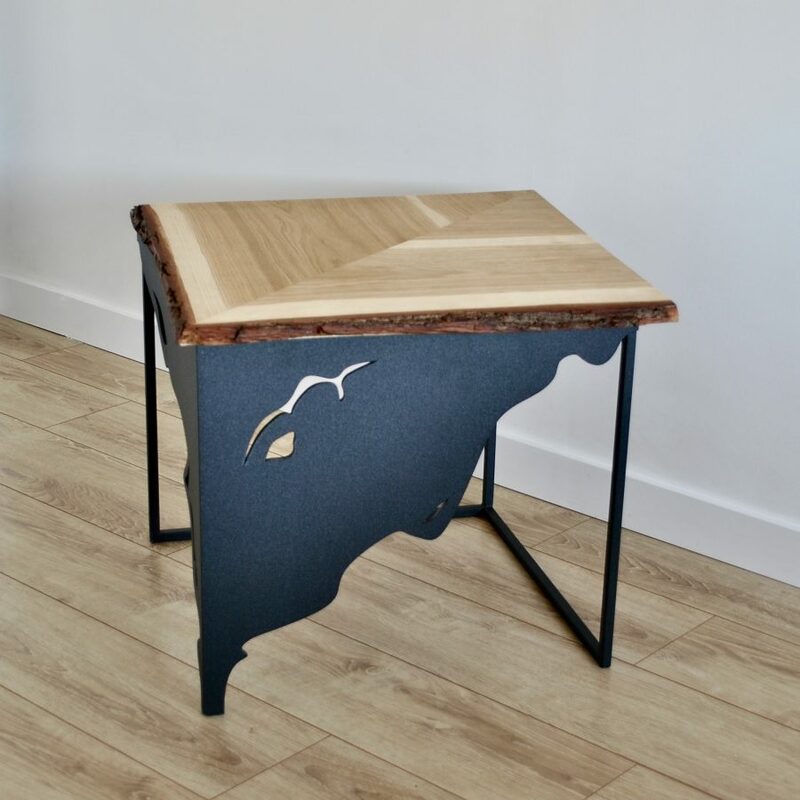 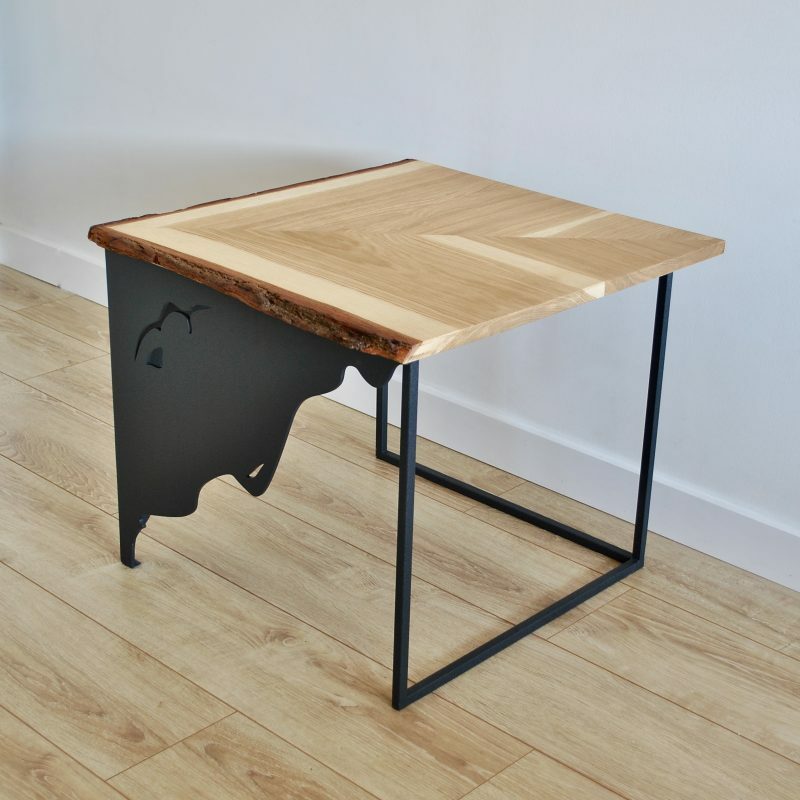 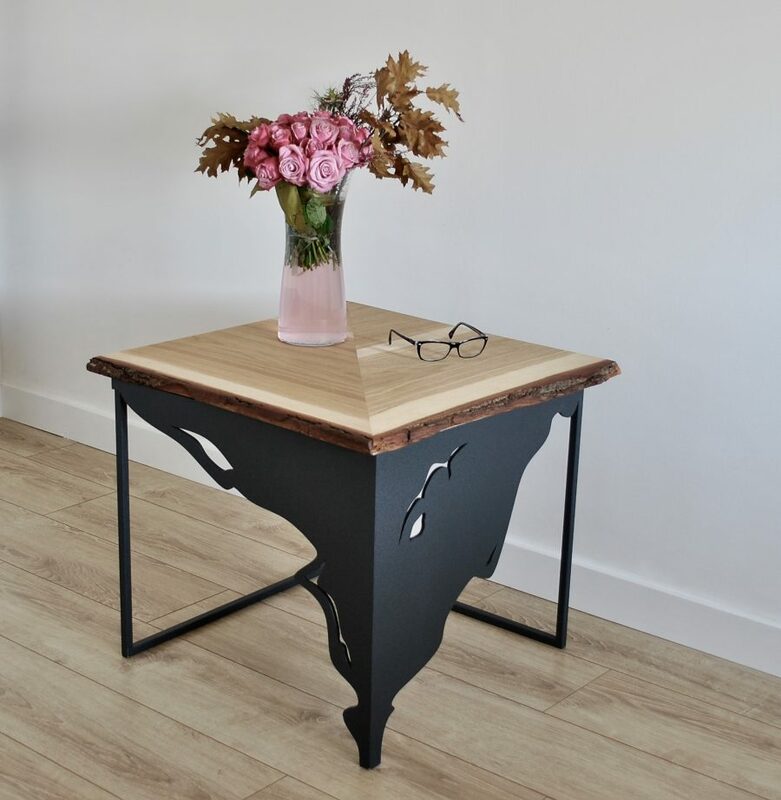 I’ve designed this unique coffee table using always favourite combination of steel and oak wood. It’s strong and sturdy steel construction links geometry with nature. 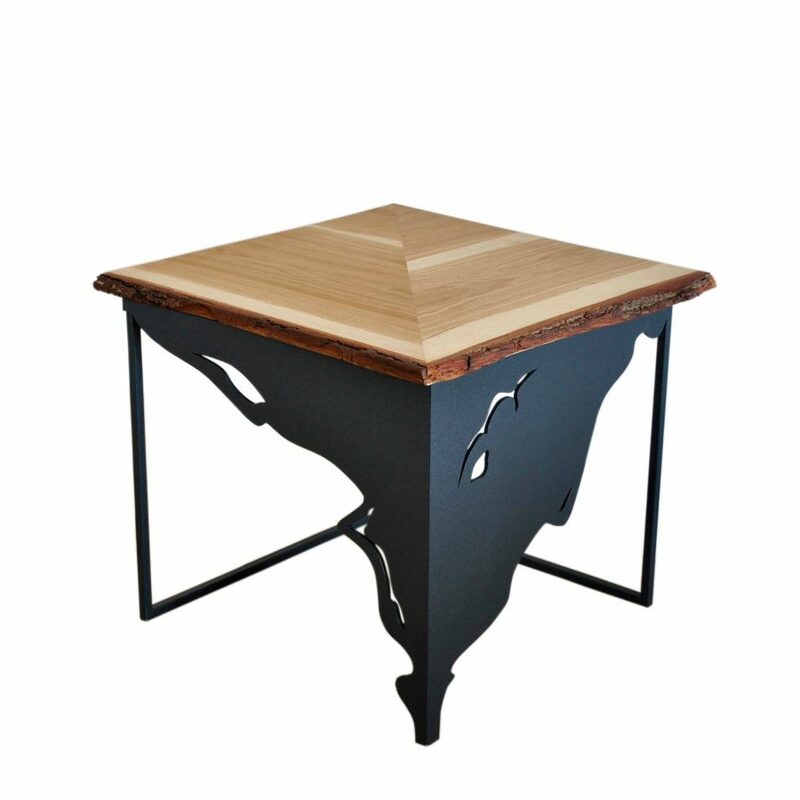 The top is made of brushed solid oak with matt varnish finish, creating a warm, eye-pleasing addition to your living room. 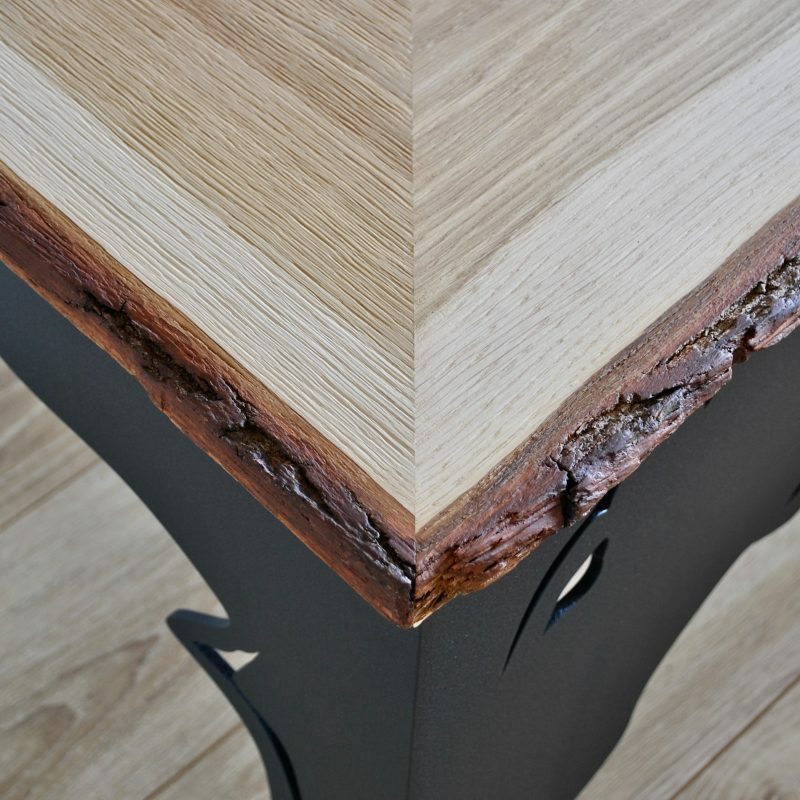 The oak tree’s bark is firmly attached to the two sides of the top making a tribute to nature.